Waterproofing your basement is an important job for your home's comfort and longevity, which is why Pro Comfort Carpeting should be a finishing touch for your basement waterproofing strategy. As your local basement waterproofing experts, DBS has the waterproofing products to give your home a clean, dry, and comfortable basement space. To request your on-site consultation and free quote for Pro Comfort Carpeting installation, call us at 1-855-259-9625 or click below! 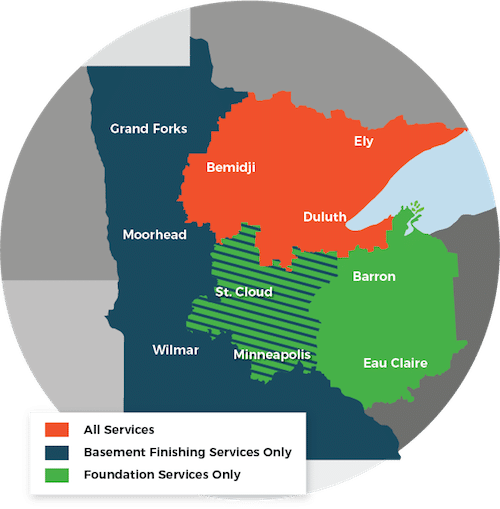 We are your local basement remodeling and waterproofing specialist serving Superior, Duluth, Minneapolis and surrounding areas. Turning your damp, cold basement into a waterproof, enjoyable space is a great way to improve the living area of your home. The basement finishing and waterproofing experts at DBS have the training and high-quality basement flooring products to turn the space under your home into a dry, warm living space. Pro Comfort Carpeting is a great way to accomplish those goals, giving you durability and beauty in your basement for years to come. Call us today for a free estimate on Pro Comfort Carpeting installation for your basement. We proudly serve Two Harbors, Cloquet, St. Paul, Hermantown, Virginia, Ashland, Esko and surrounding towns and cities.